ESPN distanced itself from anchor Jemele Hill's tweets after she called President Donald Trump "a white supremacist" and "a bigot." Hill, an African-American co-host of the 6 p.m. broadcast of "SportsCenter," also added that "Trump is the most ignorant, offensive president of my lifetime. His rise is a direct result of white supremacy. Period." 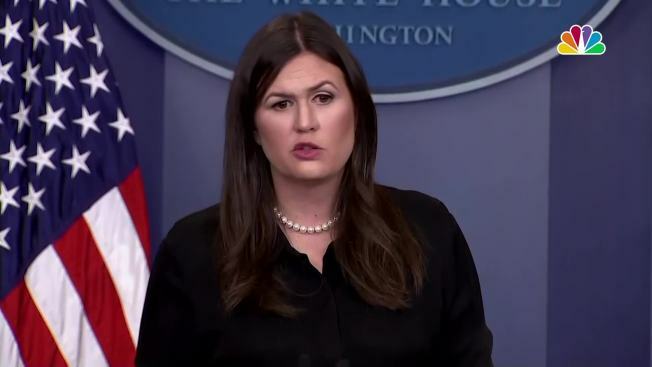 White House press secretary Sarah Huckabee Sanders said during a news conference on Wednesday that she was unsure whether the president was aware of Hill's comments. "But I think that's one of the more outrageous comments that anyone could make, and certainly something that I think is a fire-able offense by ESPN," Sanders said. Three weeks ago, ESPN said it pulled broadcaster Robert Lee, who is Asian-American, from the Virginia football season opener because of violence in Charlottesville, Virginia. The violence erupted at a rally to protest the decision to remove a statue of Confederate Gen. Robert E. Lee.